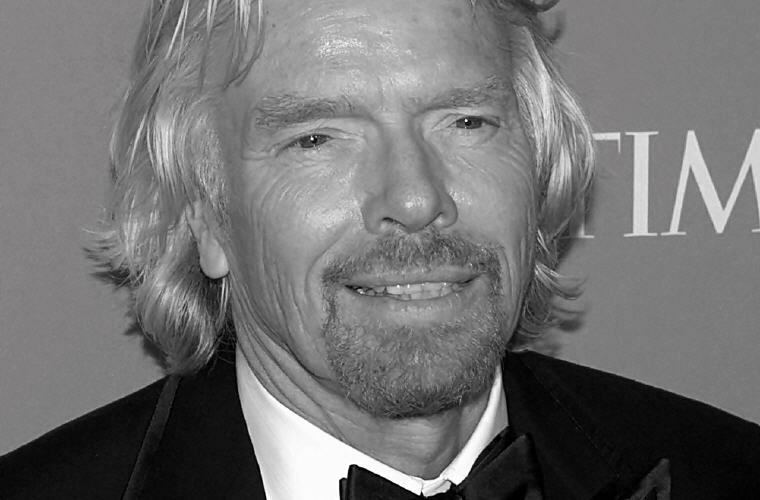 Excerpt from Wikipedia: Sir Richard Charles Nicholas Branson (born 18 July 1950) is an English business magnate, best known as the founder and chairman of Virgin Group of more than 400 companies. 1. I cannot remember a moment in my life when I have not felt the love of my family. We were a family that would have killed for each other – and we still are. 2. Life is a helluva lot more fun if you say yes rather than no. 3. When you are positive, it rubs off on people and you help to create a more positive atmosphere. 4. You don’t learn to walk by following rules. You learn by doing, and by falling over. 5. I have managed to accomplish a lot in my life by working hard every day to achieve what others said was impossible. 6. If you aim higher than you expect, you could reach higher than you dreamed of. 7. Every challenge in our lives is there for a reason, so that we can figure out how to turn it into strength. 8. My mother was determined to make us independent. When I was four years old, she stopped the car a few miles from our house and made me find my own way home across the fields. I got hopelessly lost. 9. It is only by being bold that you get anywhere. If you are a risk-taker, then the art is to protect the downside. 10. I have always believed that the only way to cope with a cash crisis is not to contract but to try to expand out of it. 11. Don’t betray your dreams for the sake of fitting in. Dreamers move the world forward. 12. My philosophy is that if I have any money I invest it in new ventures and not have it sitting around. 13. We’re introducing separate rooms with double beds in all of our planes so people can actually go with their partner and have a proper night’s sleep. 14. Don’t become a slave to technology – manage your phone, don’t let it manage you. 15. Complexity is your enemy. Any fool can make something complicated. It is hard to keep things simple. 16. We’re going where no one has gone before. There’s no model to follow, nothing to copy. That is what makes this so exciting. 17. People have to decide on priorities if they want to get anywhere. The best lessons I learned was to just do it. 18. Respect is how to treat everyone, not just those you want to impress. 19. Never do anything that means you can’t sleep at night. 20. My interest in life comes from setting myself huge, apparently unachievable challenges and trying to rise above them. 21. I’m no less a businessman when I’m in a dressing gown – and I’m certainly not more of one when I put on a suit. 22. Business has to give people enriching, rewarding lives, or it’s simply not worth doing. 23. Ethics aren’t just important in business. They are the whole point of business. 24. Throwing yourself into a job you enjoy is one of the life’s greatest pleasures. 25. Dreamers make the changes that make the world a better place. 26. Don’t ever let anyone prevent you from dreaming. Imagination is one of our greatest gift. 27. I can’t change the world by myself … but it does take somebody to start. 29. Just because you don’t get the grades in school, doesn’t mean you won’t make the grade in life. In fact, failure is a necessary stepping stone to success. 30. People are no different from flowers. If you water them, they flourish. If you are not nice to them, they shrivel up. 31. It’s up to us to create the world we want to live in, and we all have the power to do so if we set our minds to it. 32. If you follow your dreams and spend your life doing what brings you joy, you are more likely to find success. We all tend to enjoy the things we are good at more than the things we struggle with. So follow your bliss and you won’t go far wrong. 33. Every success story is a tale of constant adaption, revision and change. 34. Failure is a hurdle not a dead-end. 35. 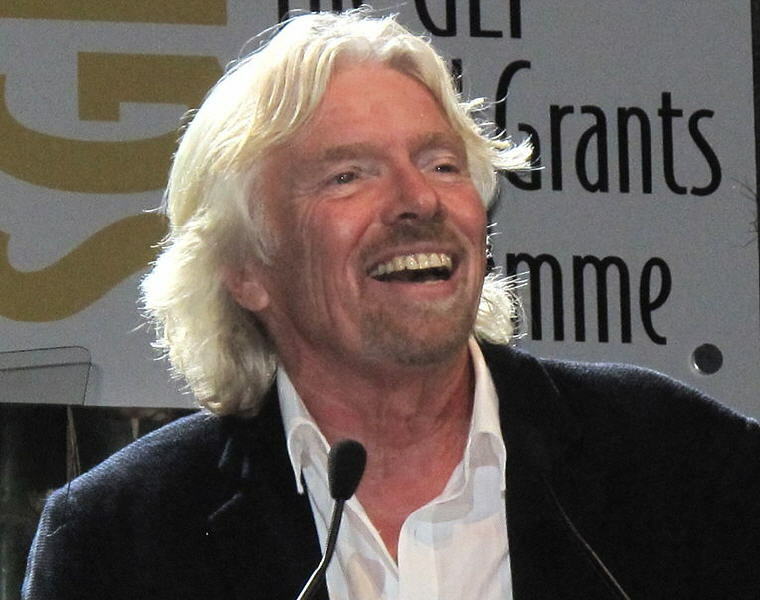 … most people would assume my business success, and the wealth that comes with it, have brought me happiness. But they haven’t; in fact it’s the reverse. I am successful, wealthy and connected because I am happy. 36. Happiness is not about doing, it’s about being. In order to be happy, you need to think consciously about it. Don’t forget the to-do list, but remember to write a to-be list too. 37. Stop and breathe. Be healthy. Be around your friends and family. Be there for someone, and let someone be there for you. Be bold. Just be for a minute. 38. If you allow yourself to be in the moment, and appreciate the moment, happiness will follow. 39. Don’t waste your human talents by stressing about nominal things, or that which you cannot change. If you take the time simply to be and appreciate the fruits of life, your stresses will begin to dissolve, and you will be happier. 40. But don’t just seek happiness when you’re down. Happiness shouldn’t be a goal, it should be a habit. Take the focus off doing, and start being every day. Be loving, be grateful, be helpful, and be a spectator to your own thoughts. 41. Allow yourself to be in the moment, and appreciate the moment. Take the focus off everything you think you need to do, and start being I promise you, happiness will follow. 42. There’s no other way to find out whether or not you will be successful other than just doing it. 43. I have failed so many times that I couldn’t list them all. But it is because of those failures that I have enjoyed success. 44. One thing is certain in business. You and everyone around you will make mistakes. 45. Those who achieve great things are the ones willing to be scared but not scared off. 46. We, as humans, are not only responsible for the future of Earth, but also the happiness we experience while inhabiting it. 47. We should all work on being more friendly, generous and considerate. The more people smile, the more the world will smile. So get out there and do something that brings a smile to someone’s face. 48. Life is much more fun when it is filled with adventure and saying yes to new experiences. 49. Age is just a number, don’t let it hold you back in business. 50. It doesn’t matter if you are young or old – if you have an idea you can turn it into a reality with hard work. 51. I cannot stress enough that age is just a number and you shouldn’t let it stop you. 52. If you do what you love, you’ll move mountains to make it happen and make it successful. 53. Don’t live for the weekend, live for every single day. 1. A company is people … employees want to know … am I being listened to or am I a cog in the wheel? People really need to feel wanted. 2. Having a personality of caring about people is important. You can’t be a good leader unless you generally like people. That is how you bring out the best in them. 3. If it wasn’t for those first few failures, the future successes would never have happened. 4. The brave may not live forever – but the cautious do not live at all! 5. The only way to find out if you have chosen the right path is to get out there and try it.